Skypaw studied the cat in front of her. No wonder why she thought the ShadowClan medicine cat looked like Russetsky and Shadepaw! They were all related! Skypaw&apos;s skin crawled when she realized she was related to the shadowy and speckled she-cat. Skypaw had no similarity to Nightflare except for their sky blue eyes. This was what Skypaw had been named for. Or so she had thought. Maybe she was named after the mysterious sky in the prophecy? But certainly that couldn&apos;t be her. She must play another part in the prophecy. Maybe the actual sky would fall on the actual sun plunging ThunderClan into pure darkness? Skypaw was snapped out of her thoughts when she noticed Nightflare&apos;s identical sky blue eyes studying her. Suddenly feeling shy, she took a tiny step back. Nightflare seemed to notice and brought her gaze to Willowleaf. "ShadowClan is in trouble," Nightflare&apos;s gaze turned to sadness. "Dapplestar is on her last life and I can&apos;t seem to heal her." Skypaw felt strange. She had never recieved any Clan&apos;s information like this. She barely found anything out from ThunderClan itself! Willowleaf seemed to take notice of this as well. With a flick of her tail, Nightflare stopped talking. All three medicine cats landed their gazes on Skypaw, making her feel awkward and alone. "You should go back to camp, Skypaw," Willowleaf meowed. By the tone of the tortiseshell she-cat&apos;s voice held, she knew she should not contradict. "What do I tell Sunstar about being out of camp?" She questioned. She didn&apos;t want to be trekking through the forest by herself, let alone face the spooky ThunderClan leader alone. "That you were out with me and we will speak later," Willowleaf&apos;s tone sharpened. 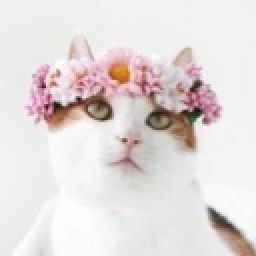 Skypaw lashed her tail in acknowledgement and gave the ThunderClan medicine cat a quick glare before dipping her head to the ShadowClan cats. "Nice to meet you," She muttered before turning and padding away in the direction of camp. Her tail lashed with frustration. She barely knew Willowleaf, but she certainly realized she had a taste for bossing around the Clan. Skypaw&apos;s pelt burned with the stares of the medicine cats. She knew they were watching, particularly Willowleaf&apos;. Nonsense! Like I would spy on a medicine cat meeting that Sunstar didn&apos;t know about, She snickered to herself. On the other paw, it did seem like a good idea, but she knew better and continued to trek through ThunderClan&apos;s territory. She opened her mouth and took a deep breath. Her skin crawled when ShadowClan filled her senses. Rolling her eyes, she continued to walk. "Skypaw!" Skypaw leaped and her fur bushed quickly out of shock. Her eyes darting around the terrain, she let out a breath that she hadn&apos;t known she was holding with relief. "You scared me, Featherfur!" Skypaw exclaimed when she saw the silver pelt of her friend come into view. She purred a greeting. "What are you doing out here by yourself?" Featherfur questioned. Her mouth opened and Skypaw slapped her tail to stop her from breathing in. Featherfur mumbled something Skypaw couldn&apos;t understand and she whisked her tail back. "ShadowClan medicine cats are on ThunderClan territory talking to Willowleaf," Skypaw explained quickly. "Sunstar doesn&apos;t know and apparently ShadowClan is in trouble. Dapplestar&apos;s on her last life and Nightflare can&apos;t seem to heal her." Suddenly, she realized that was information she probably shouldn&apos;t have told. Oh well, this is what ShadowClan get for just walking around her territory! Featherfur&apos;s eyes widened with shock. Her mouth opened and she wrinkled her nose when she caught the heavy ShadowClan scent. "Where did you learn this?" 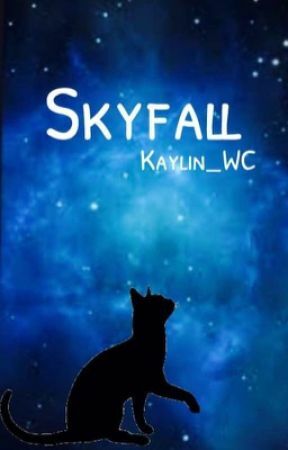 "I was with Willowleaf when we ran into them," Skypaw explained. "I think they were on their way to our camp, but I&apos;m not sure. They certainly weren&apos;t expecting to find us where we were, though." "On the edge of the abandoned Thunderpath," Skypaw answered. "Why?" Skypaw drew in a sharp breath. She suddenly was surprised that Willowleaf was able to hold her patience when she was asking all these questions. "Willowleaf wanted to talk with me," She replied, then whisked her tail, changing the subject. "Why are you out here alone?" "I was looking for you," Featherfur glanced back in the direction of camp. "Russetsky was panicking. But, while we&apos;re here, I mine as well tell my favorite apprentice the news I&apos;ve been holding,"
"Featherfur, you were an apprentice not that long ago." "Well, it&apos;s a good thing I&apos;m your favorite then, because Shadep-"
"Skypaw, are you going to let me finish?" The silver warrior&apos;s eyes danced with humor and something else that made Skypaw&apos;s heart sink. Featherfur was nervous, but what about? "Yeah," Skypaw meowed. "Is everything alright?" "More than alright," Featherfur&apos;s eyes brightened. "Are you ready for this?" "Are you sure you&apos;re sure you&apos;re ready for th-"
"Featherfur!" Skypaw snapped. "I&apos;m ready, I promise. Also, you&apos;re horrible at stalling. Like I can&apos;t smell the fear scent on you!" "Okay," Featherfur drew in a quick breath. "Bumblefoot and I are expecting kits,"
"Featherfur!" Skypaw leaped on her paws. "That&apos;s wonderful news!" "Of course!" She meowed. "I can&apos;t wait for them to be born! Does Bumblefoot know?" "Yes," The striped tom emerged from the bushes. "Of course I do." Featherfur purred. "Were you there the whole time?" Skypaw questioned, surprised. She hadn&apos;t even caught the young warrior&apos;s scent due to the ShadowClan visitors. "Yes," Bumblefoot purred with his mate. "I wanted to see your reaction. Featherfur insisted you had to be the first cat to know. And," He added. "Skypaw is right. You are horrible at stalling," Humor rose in his eyes as he spoke to Featherfur. "Hey!" Featherfur playfully landed a light blow on her mate&apos;s ear. As much as Skypaw was happy for the two soon-to-be parents, she felt out of place. This seemed to be happening a lot lately. First she was informed of the prophecy differently than the other cats, she was the only warrior out of the medicine cats, and now she was the young, out of place apprentice while her friend and her mate joked around. "Well," Skypaw meowed uncomfortably. "I think I&apos;m going to head to camp." Dismissing herself quickly, she continued her way to the ThunderClan living area.